Hydroserve is a borehole drilling company based in Sussex, providing a range of borehole drilling services across the South of England including Sussex, Kent, Surrey, Hampshire, Berkshire, Buckinghamshire and London. We have provided water bore holes for domestic properties, farm irrigation systems and industrial users such as the commercial laundry on a small industrial site. 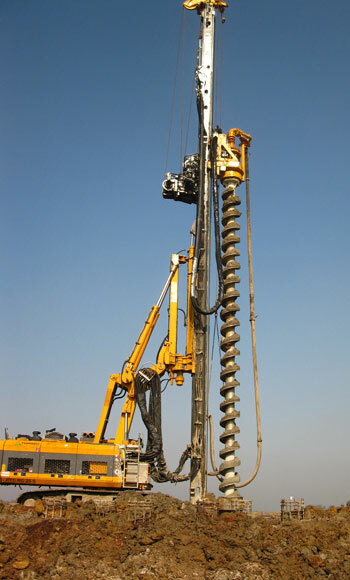 A bore hole can be sited in a convenient location to where you need it and will drilled to a depth of up to typically 350 metres using either Cable Tool Drilling rig or a Rotary Drilling machine. If you need a new water supply, or are looking to reduce the cost of treated water to your business or home then why not contact Trevor Holden at Hydroserve Drilling to discuss your options or request a quote for a new bore hole. Domestic use quota is 20,000 litres per day or for Trickle Irrigation there is no quantity limit. A water supply bore hole is cheap to run and maintain. It is important that you have your pumps checked and maintained at the appropriate intervals to ensure that they continue to provide years of reliable service. We can check your bore hole and pumps are functioning correctly and will take care of all your maintenance requirements. We only use pumps of the highest quality that require the minimum of maintenance. Call us today on 01403 791383.